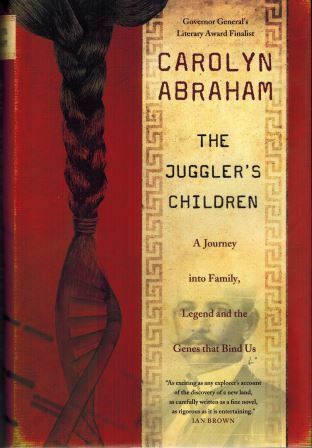 I’ve been reading the book, The Juggler’s Children: A Journey into Family, Legend and the Genes that Bind Us by Carolyn Abraham and am finding it hard to put down. Abraham skilfully recounts her Anglo-Indian family background and the legends & lore that surround the identity her great-grandfathers, a hero who died young and a scoundrel who disappeared. She explains the science behind DNA testing and how it revealed the truths about her family background. While I’m intrigued about DNA testing, I still wonder if it would add anything substantial to my genealogy that I don’t already know (my family is from the British Isles). I love sharing my genealogy research with others, but am hesitant about entrusting my DNA information to a private company. And there are privacy and ethical issues connected to the use of that information by third parties. How do you feel about DNA testing and genealogy? Have you tried it? Intrigued by the idea?